James Guthrie, the first settler in Springfield Township and in the county settled along the Tiffin River in 1827. The township grew steadily and by 1840 Springfield Township was ranked as one of the leading agricultural townships in the United States. At that time the following were the statistics for the township; 44 horses and mules, 345 beef cattle, 51 sheep, 711 hogs, 3235 bushels of wheat, 556 bushels of rye, 7895 bushels of corn and 2387 bushels of potatoes. Forty years later, most of these numbers had increased 10-fold. The village of Stryker was surveyed on September 19, 1853 beside the proposed Michigan Southern and Northern Indiana Railroad (now known as Conrail) by John H. Sargent, Epaphras L. Barber and Jesse McCart. The village was officially recorded in Bryan on January 15th, 1854 with a legal description for 97 lots. The original streets were named Defiance, South, Church and Depot. The village was named for John Stryker, a lawyer and politician from the state of New York. 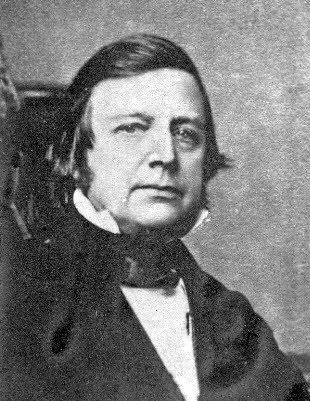 In 1847, he gave up law and politics to concentrate on railroad enterprises. Railroads were very important in the 1850′s because roads were very unreliable, oftentimes little more than trails, and mud and snow often made them impassable. Men who knew of a proposed railroad route often would purchase land at 10-mile intervals and surveyed lots where it was expected to go. Since nearby Bryan was already on the proposed route, Stryker & Edgerton were surveyed out at about 10-mile distances each direction from Bryan. 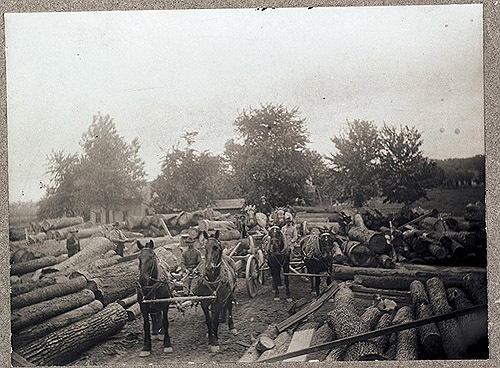 The first store was opened in the fall of 1853 by French immigrant Frederick Louys, and was followed quickly by a hotel and a sawmill. The first post office was established in 1855. In 1856 Stryker also became home to a hardware and gristmill. The first railway route took effect on Monday June 8th, 1857. The route ran from Toledo to Elkhart, IN, stopping at 17 villages along the way. 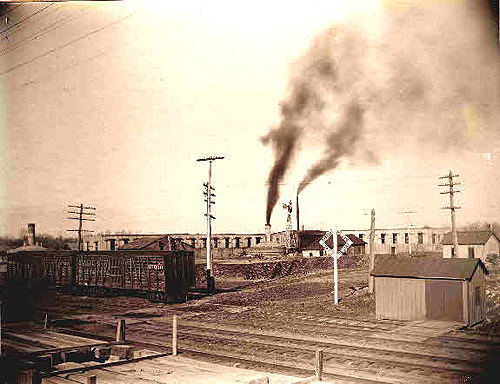 Stryker’s first railroad depot was a freight depot on the south side of the tracks. Stryker grew rapidly after rail service began and soon it became apparent that a municipal government was needed. On March 2nd, 1863, a petition asking for incorporation was signed by 59 residents and presented to the Williams County commissioners. On that same date, another petition signed by 36 residents protested incorporation, claiming it would increase an already heavy tax load. In response, 13 more residents of Stryker added their names to the original petition requesting incorporation. On June 2nd the petition was granted and the first municipal elections were held on August 24th, 1863. There was a time when Stryker was well known for the beneficial qualities of its mineral springs. Early in the history of the area, people noticed that gas escaped from local water wells. This caused many people familiar with the area to believe that there also might be oil deposits underground. A group was formed in 1861 and a well was drilled to a depth of about 70 feet. The equipment that they had was inadequate to drill any deeper. The well shaft filled with water and the gas that escaped was strongly impregnated with the odor of petroleum, adding to the belief that there was oil. At that time the Civil War started and the project was abandoned. By the spring of 1865 a company from Boston, called the Stryker Oil Well Company, had set up a derrick on some land belonging to John Sheridan Jr. The drilling first penetrated through 129 feet if drift, then 68 feet of Huron shale. A vein of heavily charged mineral water was discovered at a depth of 230 feet. They did strike gas and small amounts of oil, but drilling operations ceased at a depth of 850 feet after 2 years. There was never enough oil or gas to make the operation profitable and the well was abandoned. Afterward, water, charged with gas, continued to emerge from it. By 1870, hundreds of invalids were using the water and praising its healing effects. In 1883, the Stryker Mineral Springs Company was formed and a two-story hotel and bathhouse was built at the corner of Curtis & Center Streets. The bathhouse attracted people from all over the world, seeking cures for a wide variety of illnesses. In 1862, a tannery was started on the east side of North Defiance Street. In the fall of 1866, the tannery owners erected a sawmill and began making boat oars, spokes and other wooden items. This became one of the biggest businesses in town, employing more than 70 workers at various times. By 1870, Stryker was home to two wagon shops, two blacksmith shops, 15 stores, a hotel, three churches, a brick schoolhouse, a sawmill, a livery, several physicians, and a cheese factory. In 1870, Walter Pepple established a Tile factory between Stryker and West Unity, where clay was formed into brick or tile, dried, and then baked in kilns. In 1882, after the tile factory burned and Pepple and JC Smitley constructed a tile factory on the west side of Stryker’s Horton Street, which is now home to Ferro Corporation. 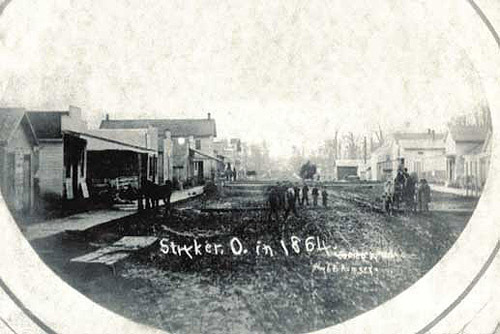 In 1879, Stryker established its own telephone company, which connected 700 telephone lines. The first newspaper, “The Advance Reporter”, began publishing in 1883. In 1890, the Stryker track pans were installed at the Tiffin River west of town, which allowed steam locomotives to scoop up needed water without stopping. In 1895, Northwestern Milling Compnay built a three-story brick gristmill on the west side of West Street, just north of the railroad. In 1896, the Grisier Funeral Home, founded by Wendell P. Grisier, opened for business. The funeral home is still in business today, and is in its fifth generation of the family owned business. Many men from the village of Stryker volunteered for military service in the Union Army during the Civil War. One of them, Private William Knight, was awarded the newly created Congressional Medal of Honor. His name will forever be linked with the Andrew’s Raid, one of the most heroic exploits of the war. 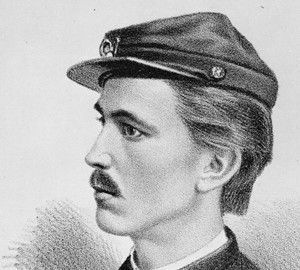 Kentuckian James Andrews was a secret agent for the Union Army. His plan was to infiltrate into the heart of the Confederacy, steal a train at Big Shanty, Georgia, and run it north on the western Atlantic Railroad to Chattanooga. They boarded a train pulled by a locomotive called The General, and started their run north, with Knight acting as the engineer. Rainy weather foiled their attempt to burn the railroad bridges behind them, and 87 miles after it started, The General ran out of fuel and the men were forced to abandon the train and head for the Union lines on foot. The raiders were captured, and eight, including Andrews, were hanged. 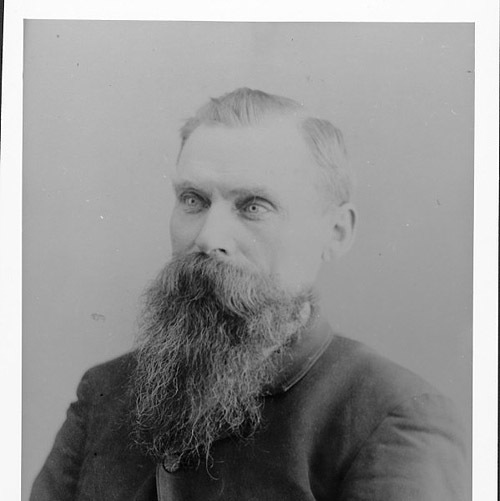 William Knight and seven others escaped from prison on October 16th, 1862. 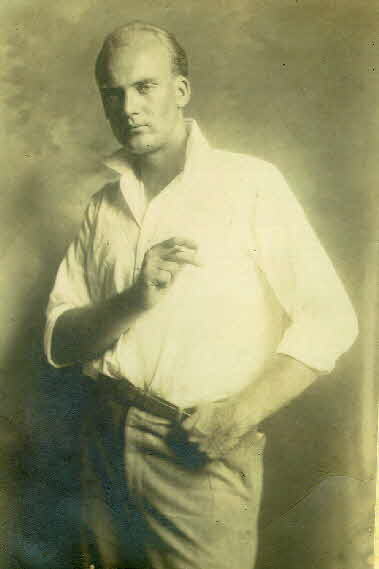 William Knight returned to his family and home in Stryker, Ohio where he passed away at his home on September 26, 1916. In March of 1876, a Battalion of the 7th Infantry with Company B and Lt. James Bradley, a Stryker native, left Ft. Shaw for Ft. Ellis to join the Yellowstone Expedition against the Sioux Indians. In June of 1876, Lt. Bradley’s troops arrived to the battlefield where Col. Custer and discovered the horrific remains of the fallen at Little Big Horn. Bradley recorded the events in a journal, which was later published in 1896. Col. Gibbons, along with Lt. Bradley and most of the 7th Infantry departed Ft. Shaw to intercept the Nez Perce Indians. On August 9, 1877, Lt. Hames Bradley was killed in action in the assault on the Nez Perce camp in western Montana, known as the Battle of Big Hole. 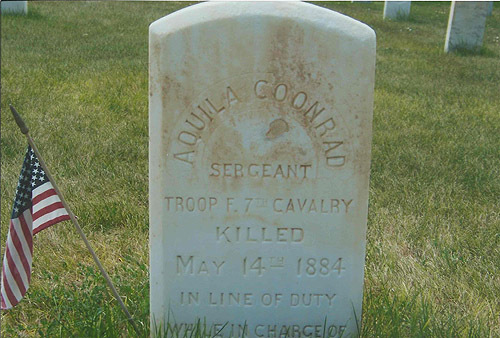 Aquilla Coonrod served with the 5th US Infantry at Fort Buford in Williams County, North Dakota. He participated in several engagements against the Sioux in the Montana Territory, most notably at Cedar Creek and Wolf Mountain, which he later received the Medal of Honor for “extraordinary acts of heroism and gallantry in action.” He and his men were escorting US Army paymaster Major Whipple and a large payroll shipment for various frontier outposts when they were attacked by a group of bandits. Aquilla died during the battle and was buried at the Post Cemetery in North Dakota and later moved to the Custer National Cemetery in 1896. What hampered Stryker’s growth starting the in late 1800’s through the early 1900’s more than anything was the rash of unexplained fires that plagued the town for years. In 1876, the sawmill burned and was rebuilt. Then, on June 27th 1884, a boiler there exploded. Half of it shot through the mill while the other half blew metal fragments through the factory like shrapnel, injuring eleven of the 30 men working. In 1882, the tile factory burned and was rebuilt on the west side of Stryker’s Horton Street, now home to Ferro Corporation. 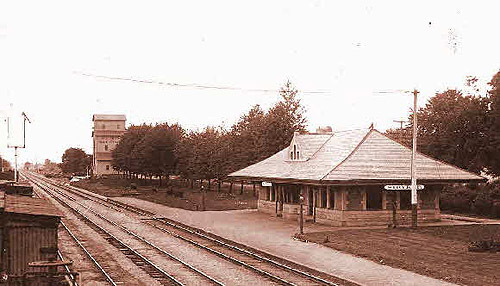 In1900, the roof of the train depot caught fire and it burned to the ground. A new one was built to replace it that same year. In July of that same year, both the bathhouse and hotel caught fire and burned. In 1915, the bathhouse was rebuilt. The four room schoolhouse burned down on December 9th, 1902, but a new building was erected in 1904 as an elementary school. In 1926, the sawmill and oar factory burned again and the business was relocated to Archbold because a facility there was available to more into immediately, saving the time and expense of rebuilding. 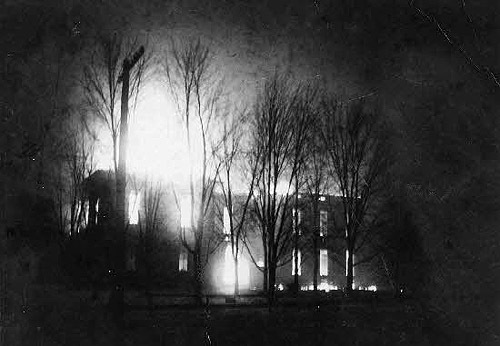 Other fires throughout the early 1900’s included various downtown areas on more than one occasion. The town now has a municipal water system and a volunteer fire department and has suffered no major fire losses since that time period. 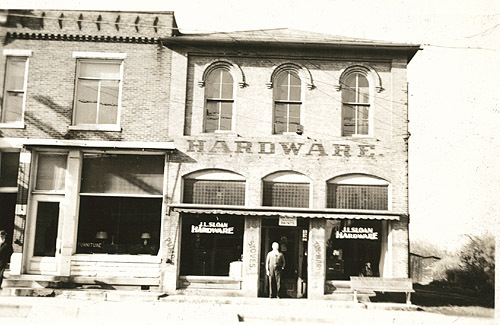 In the early 1900′s, Stryker was home to a hardware store, theater, dry goods store, and bakery. 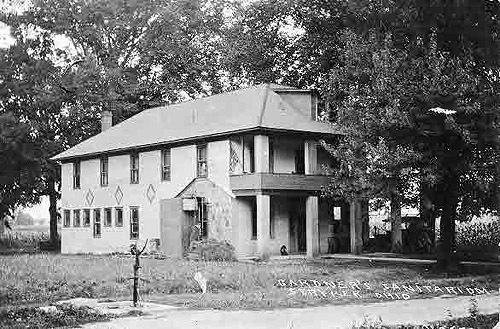 In 1902, Gurwell Brothers built a garage, dance hall, and roller skating rink on the west side of Defiance Street, which is now home to the Stryker American Legion Post. In 1905, the Toledo & Indiana Railway, an electric railway that used coaches similar to trolley cars, was extended to Bryan through Stryker. The track ran down Lynn Street and a small, wooden depot was built on the south side of East Lynn Street. A large electric power plant and a car barn were built on the west side of Stryker near the Tiffin River. 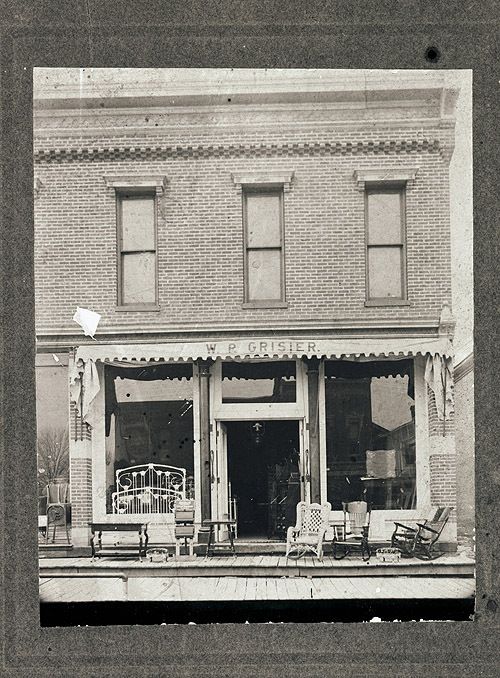 In 1910, William Peter Grisier owned a furniture store on the west side of Defiance Street. Rockers, Bissell carpet, sweepers, tables, foot stools & beds were all items sold at the store. 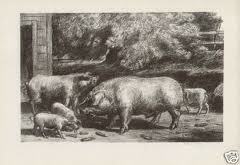 In 1835, Harry Wickey, a well-known artist, returned to his family farm near Stryker, where he became fascinated with the activities of farm animals and created many drawings, water colors and lithographs from his experience. Ralph Goll, another Stryker native, wrote and published “The Green Hornet,” in 1943. He then went on to write the screen plays for “The Lone Ranger,” which began broadcasting in 1947. 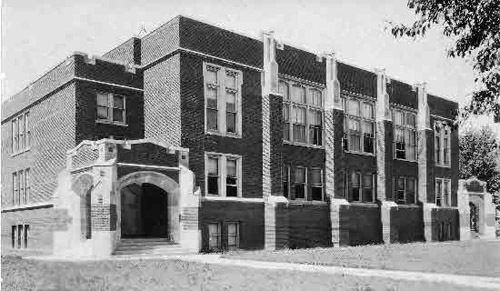 In 1918, a new high school was built. 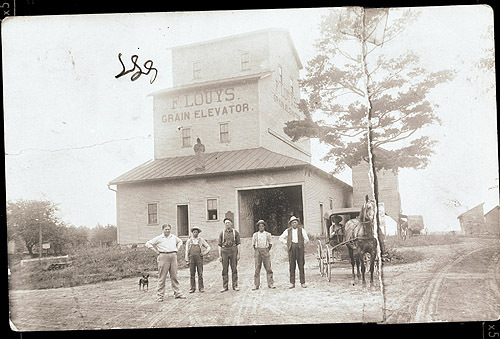 In 1920, The Stryker Farmer’s Exchange Company was organized and purchased Louys Elevator, which remains one of Stryker’s prominent businesses today. After the sawmill moved to Archbold, the Standard Oil Company purchased the land in 1927 and built a service station. In 1932, The Standard Oil Company Service Station was purchased by the Stryker Community Club and was donated to the Village of Stryker. In the 1940’s, Stryker was home to Garber’s Chrysler car dealership. 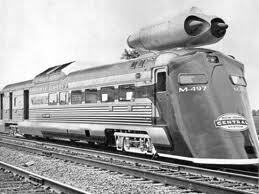 Passenger rail service ceased in Stryker in 1956 and freight service was discontinued soon after. On July 23, 1966, the U.S. rail speed record of 183.85 miles per hour was set through Williams County, including through Stryker. Throughout the years, Stryker has been home to popular hangouts such as BK Restaurant and the Panther Den. The blizzard of 1978 dropped over 20 inches of snow with winds over 35 miles per hour, causing power outages throughout the area and taking several days to dig out. In 1979, the current elementary school was built. During the 1990’s, Stryker was host to the Annual “Ladding Rodeo,” which was held at Ferro. Today, the Village of Stryker is home to 6 factories, 1 gas station and convenience store, 1 K-12 school, a funeral home, 6 churches, 2 banks, a car wash, an attorney, a medical office, Legion, Post Office, a bar, 6 retail stores, 3 eateries, Welding Shop, LP Company, Door Company, Storage Units, Electric Contractor, Heating and Plumbing Contractor, 2 beauty shops, Golf Course, Large Park, 3 Cemeteries, a sawmill, Farmer’s Exchange, Museum, Water Treatment Plant, Quadco School, Trucking Company, a Senior Center, and a Driving School.